Dr Justin Sherwin, Ophthalmologist - Peninsula Eye Centre, Mornington. 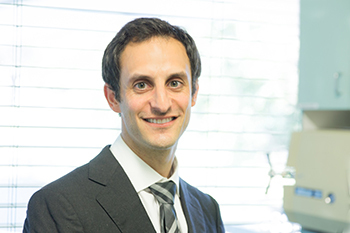 Dr Justin Sherwin is an ophthalmologist with sub-speciality interest in glaucoma management. He attended Monash University medical school and completed an honours year in glaucoma research at the Centre for Eye Research Australia. Additional postgraduate degrees in epidemiology and eye research were completed at the University of Cambridge, UK. He has been awarded numerous prestigious awards, scholarships and research grants. From his research, he has over 50 peer-reviewed publications and has presented at many national and international conferences. Dr Sherwin holds public appointments at the Royal Victorian Eye and Ear Hospital (RVEEH) and Western Health. He operates privately at Beleura Private Hospital, next to Peninsula Eye Centre, Mornington. He manages glaucoma using medical, laser and surgical approaches including minimally-invasive glaucoma surgery (MIGS). In addition, he is highly proficient in performing cataract and pterygium surgery, and treating general ophthalmology problems, including macular degeneration and diabetic retinopathy.